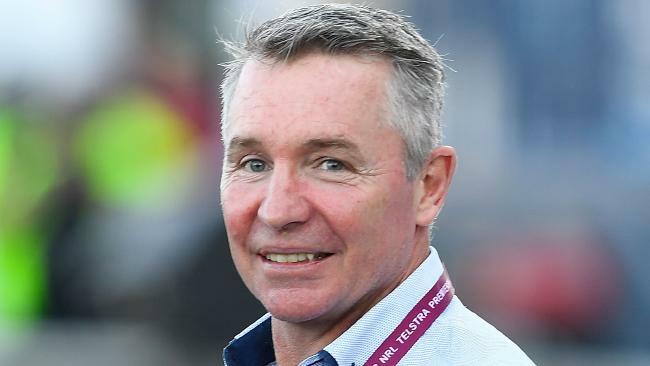 PAUL Green has denied suggestions he has too many responsibilities at the Cowboys after it was revealed football manager Peter Parr has been given a new role to take the pressure off the North Queensland coach. It was revealed last week that chairman Laurence Lancini has ordered a review of the club's football department after a poor season that has the Cowboys lingering at the bottom of the ladder. Lancini has also made Parr the director of football to help with the review and to ease the pressure on Green, who he said was an outstanding coach but has "too many roles and responsibilities". Green has welcomed the changes and believes they will help the club, but when asked if he's had too much to do his answer was simple: "no". "It's just a way of looking forward at how we can improve the club," Green said of the changes. "The businesses are getting bigger now. (Lancini) is looking at where Parry can best make a difference to the club also. He's been around the game for a long time. "If you take a bit of that operational stuff off him on a day-to-day (basis), he can focus a bit more on the strategic stuff and hopefully we'll benefit from that." Despite denying he was under pressure with his workload, Green did say he expects the changes to help him as a coach and the team's performance on the field. "Hopefully I can focus more on the team," he said. "Not that I haven't been but it will be a great help from that point-of-view … it will be a good help for me." The Cowboys' season from hell was given a slight boost over the weekend, after they managed to put on a second half comeback to claim a 20-18 victory against the Knights. It’s been a difficult season for North Queensland. AAP Image/Michael Chambers. It was just their fifth win of the season and this week they will be looking to notch up back-to-back victories for the first time all year when they meet the Roosters on Saturday night. 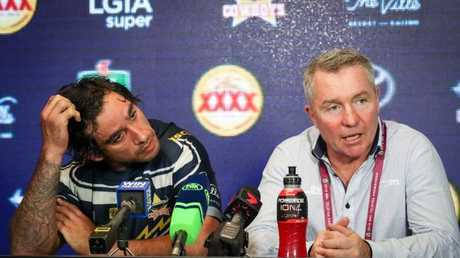 The showdown will also be retiring playmaker Johnathan Thurston's last meeting with his former Queensland halves partner in Cooper Cronk. Green said he expects Thurston to lift for the occasion but also wants to see the whole team rise to the challenge after last week's victory. "Hopefully that's a bit of motivation for him," Green said of Thurston. "They played a lot of rep footy together and are good mates. "Hopefully all of us get a bit of confidence out of (the Knights win … We're building on that performance and looking for a little bit of improvement."